The World Cup Tournament Fair will run on 24 June 18 (Sunday) and all football fans are welcome to join the competition and put your FIFA skills into good use! All participants will be playing on the PlayStation 4 in the FIFA 18’s World Cup mode which was released by EA Sports earlier on 29 May 2018. The tournament will roll out in a two-legged and penalty format where the finalists will be fighting the opportunity to be the best in the region. Winner can receive attractive cash prize of $1,000 and runner-up will not be leaving empty handed with $500! Participants can also pit against each other in – Super Sidekicks 2, a 90’s retro arcade game besides competing on the console platform. This mini tournament will be held concurrently at the event by the Carousell Retrogamers Community. Fans can catch the likes of their favourite Three Lions stars such as Marcus Rashford, Harry Kane and Raheem Sterling over drinks and great company as the event end off with the live streaming of the World Cup – England VS Panama. Attractive prizes, such as FoodPanda vouchers will be await the winners. Interested parties can head to the event page for more information. Early Bird registration is now open with tickets starting at $8 and sales ends at 21 June 11.59pm, while stocks last. 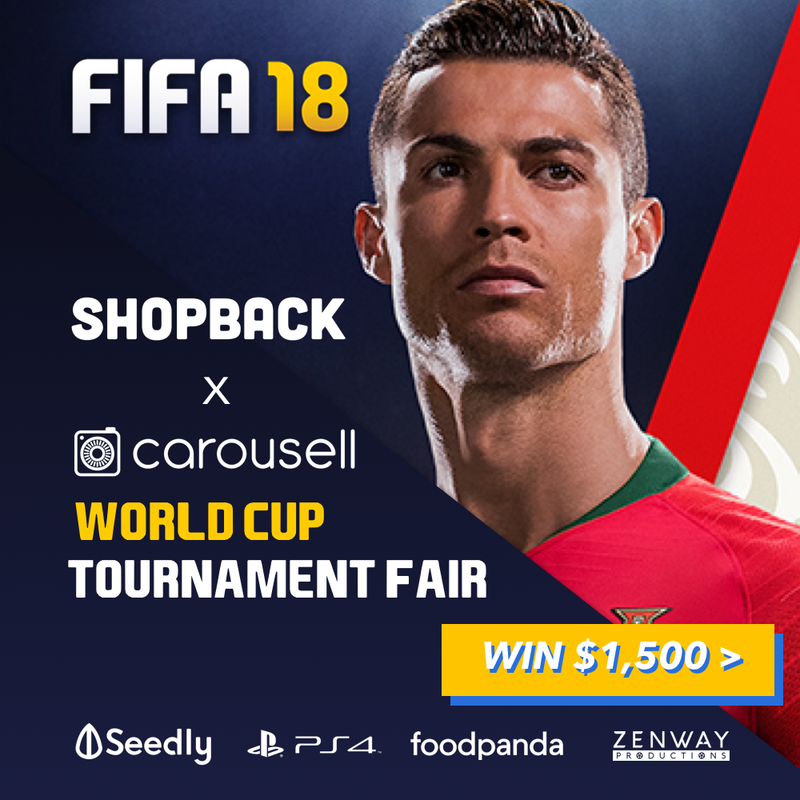 The World Cup Tournament Fair is organised by ShopBack and Carousell.